The new headquarters of the NATO will be placed in front of the existing one, on a 40-hectare lot. It will employ 4,500 workers in more than 250K square feet of functional space spread over 7 floors. The building facilities include 120K square meters of offices, a conference center with state-of-the-art meeting rooms, multimedia spaces, restaurants, a bank, sports, and leisure facilities, a staff center, a technical building for energy supply, warehouses and workshops. These new headquarters are more functional and comfortable, with flexible modular office trays that can be expanded and/or reorganized as needed. The architects were very careful with the number of areas in the building design including security, flexibility, durability, functionality and budget control. Construction began in October 2010 and was completed in 2016. 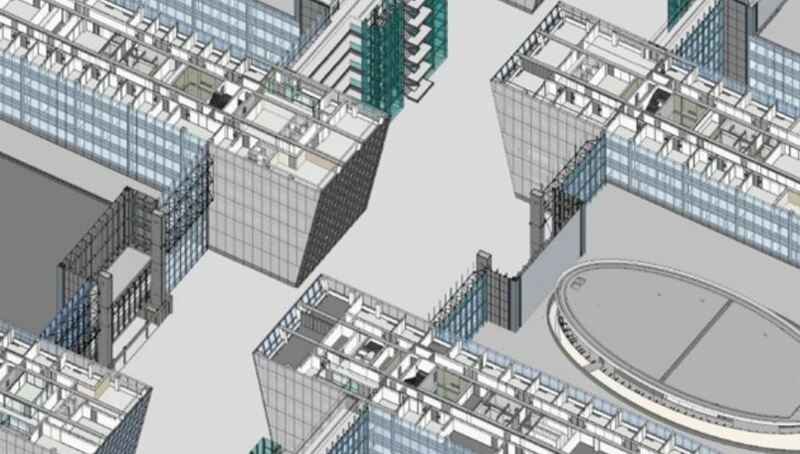 The project was the largest in Europe at the time of its construction and because of its size, BAM Alliance 3 decided to use BIM to lower the risk of differences between different sources of information that were published by different stakeholders (drawings, schedules, quantities, etc…). Although the structural part of the building was modeled fast, it took about a year to perform a reverse engineering of interior fittings. However, this allowed BAM to identify and resolve thousands of conflicts before the work began. A database was linked with models to handle a large number of non-geometric data. For example, each of the more than 2,980 doors were enriched with 167 specific parameters managed by 12 members of different teams (Architect, Consulting company in electrical engineering, Security Consultant, Fire and Acoustics, Engineers, Finishing Project Engineer, Electrical Engineer, Planning, Purchasing, Fire and Acoustic Specialists, Co-Signers (Electronic Security Systems). The same database was used to manage the choice of the NATO colors in the last parts of the nomenclature. It took weeks instead of months to coordinate the very complex HVAC / Electricity / Plumbing (MEP) models at the -1 level of the Common Buildings of this gigantic infrastructure, that includes elements related to HVAC installations, the TV studio and distribution and restaurants, fire protection and smoke extraction. 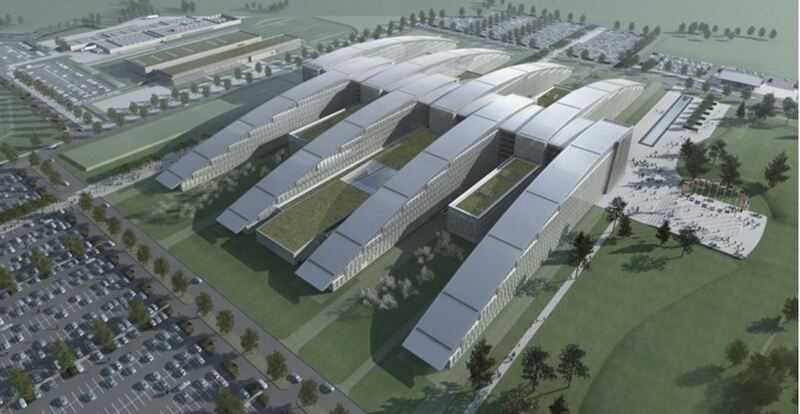 Now, the NATO has a quality 3D BIM model that can be used to operate their new headquarters.